Hello ulogger woes birthday was my great friend Yuraima, was 48 years old and to celebrate we assume two cakes, one that gave him his family and the other that I did it. It's a great time to wish you God bless her, to fill it full of life and health and also long life. 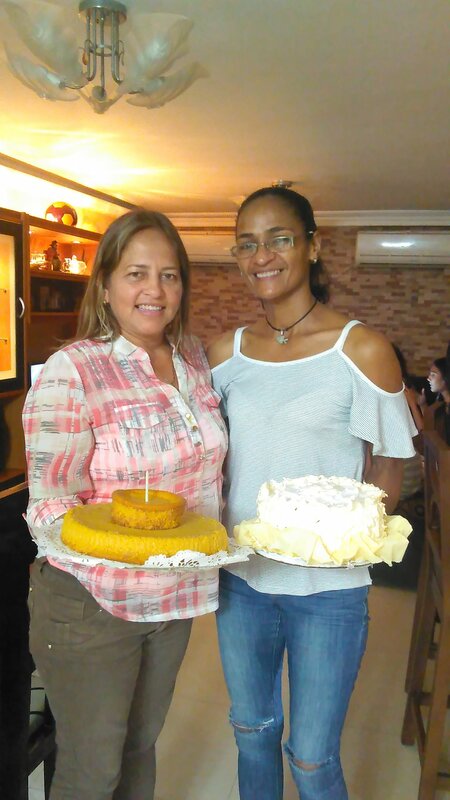 The friendship part of the needs of the human being, is a duty to keep them, share with friends of joy fill your life and allows you to change your moments of tension and stress by moments of laughter and even tips, thank you for your friendship Yuri.